Happy New Year! In case you missed my tips for New Year’s Eve – be sure to check out the entire TV segments below for tips and tricks. These party tips can also be applied throughout all of 2017 too. If you are not following along on Snapchat (bannc) – I share behind the scenes during the filming of these so be sure to add me there for a sneak peek. Some of my other past favorite segments include this High Low Party idea and my Hosting Must Haves List. 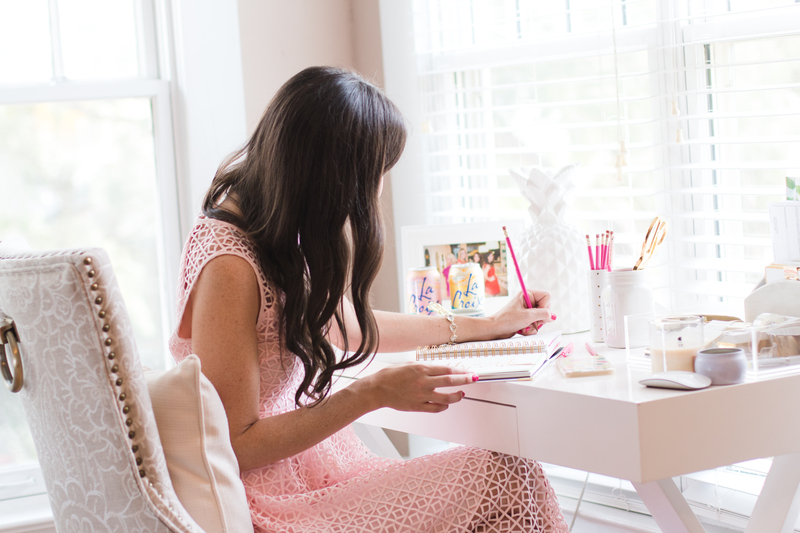 When I moved down to Florida earlier this year, I was so excited to start from scratch in designing my new space. It was the first time that my entire home would also be a complete reflection of “me” and, with the exception of a few items, I got rid of everything from DC. That is also why I was so excited when Havenly reached out and asked how they could help me #GetDecorated down here in the Sunshine State. 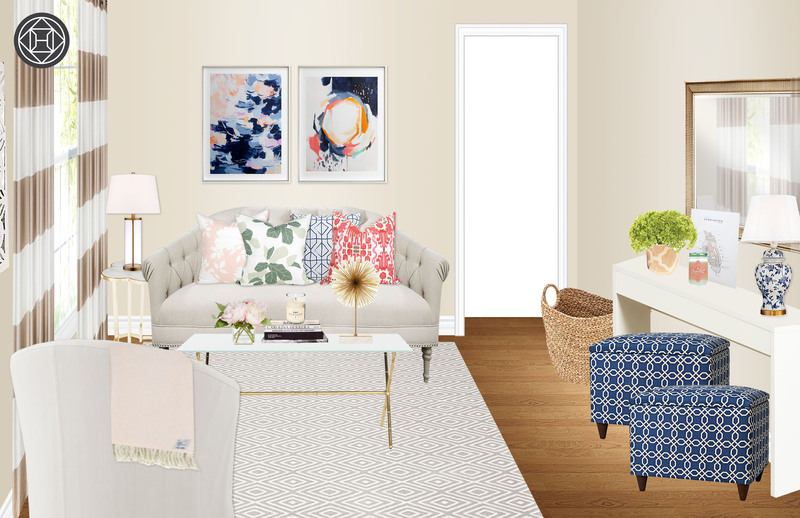 Havenly allows you to design your own dream space with professional interior designers in just 4 easy steps and it’s all online (more info on pricing plus a special H&T promo code at end of post!). When you first sign up, you answer a few questions and create a “Style Profile” which allows them to match you with a designer that fits your style. 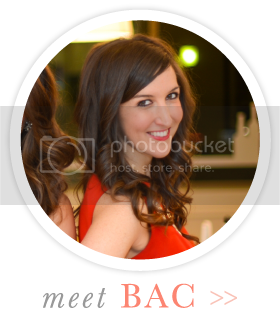 I was lucky enough to get the lovely Julianne! 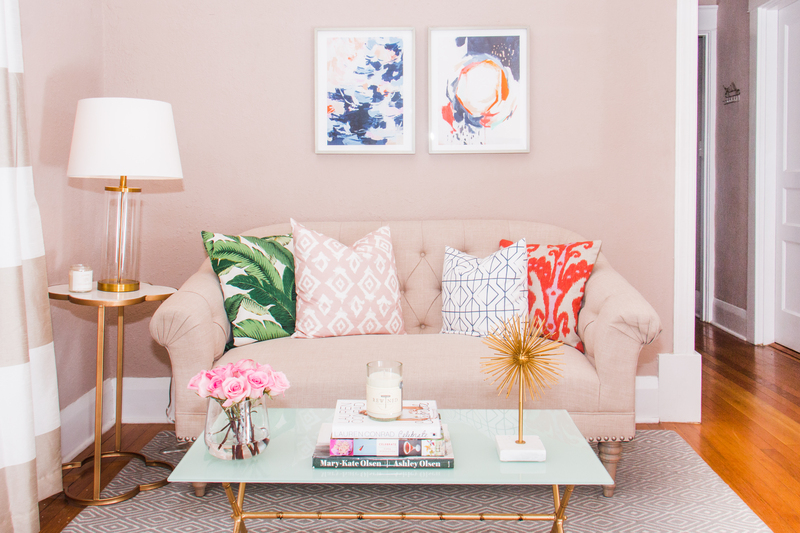 I wanted a space that was feminine, grown up but still fun, pretty on the eyes and of course, suitable for “hosting” and “toasting”. I have cathedral ceilings in my living room and two large windows that bring in lots of light so a “bright” design was also important to me. You then share details about your project with your designer – things like your budget, photos, rooms size and measurements, existing items you’d like to incorporate and most importantly (for me! ), your vision (you can even share Pinterest boards). It is all so easy to upload to the site for review, make comments and I even provided Julianne with a list of random things I did and did NOT want. I also had a few items I had picked up but had no idea what I wanted to do with that she was able to incorporate as well as a few items that I wanted to “repurpose” so she helped give me direction there too (paint colors etc). 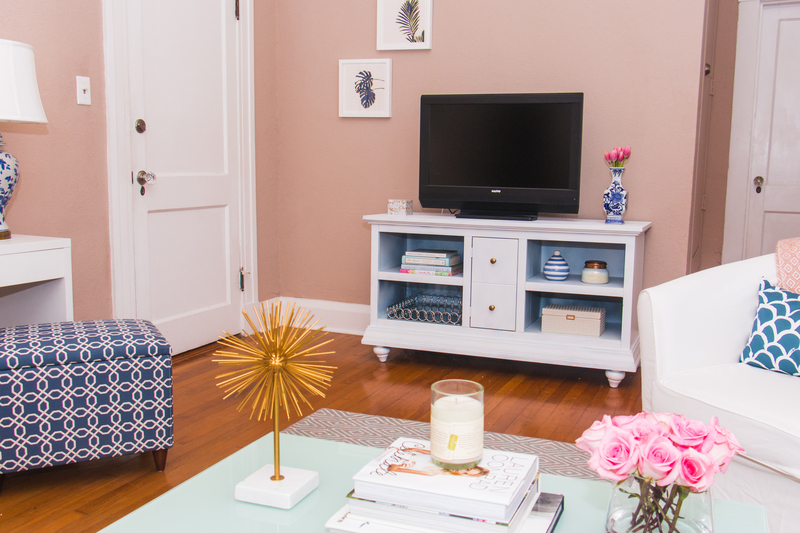 This step was so important to me and by giving guidelines and sharing my own vision for my new living room, I felt so comfortable trusting Havenly to work their magic and boy, did they! In the next step, your designer works to revise your design concepts and you have a chance to comment and provide feedback. Below are my TWO concept boards that Havenly put together for me. 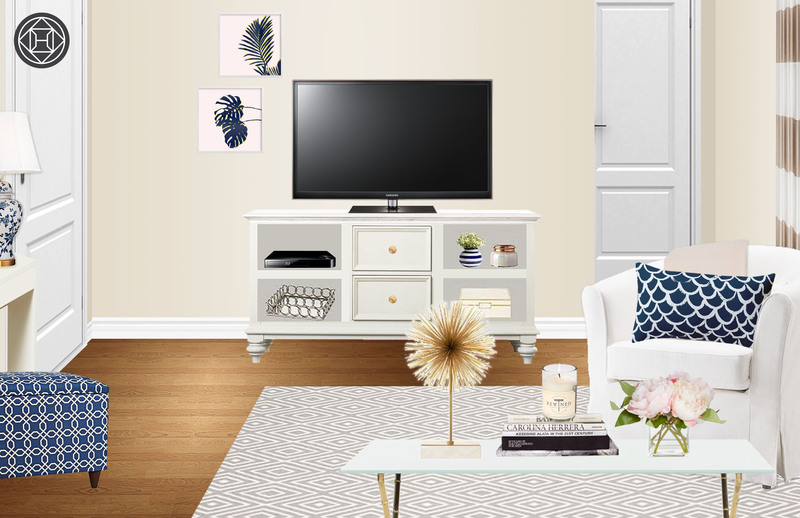 It was so fun to take what I liked from both of them to get my final room design. 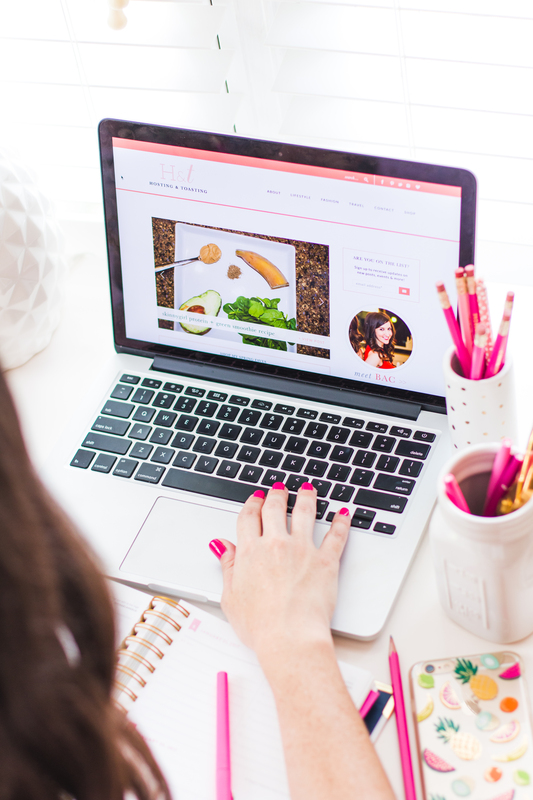 When I received my concept boards, I was amazed at how Julianne had put together EXACTLY what I wanted but was certainly not talented enough to do on my own – all my random ideas, likes and “needs” into one. 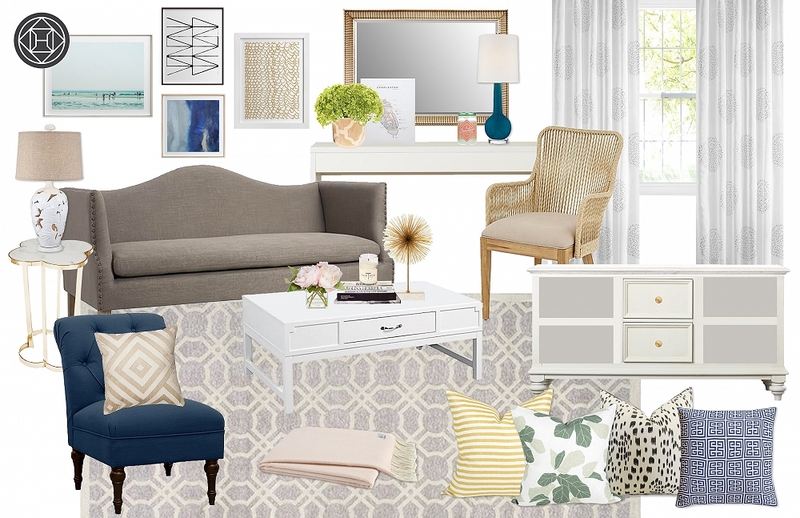 After feedback, my room layout and initial/final designs were then put together (see below for the final product!). Finally, once my space was completely assembled – they put together a shopping list that allowed me to shop directly from the Havenly site. SO easy! No searching 100s of sites for the products, they literally put them all into your account and you pick and choose what you like best. That’s what I really enjoyed – how she gave me choices and narrowed it down. I also wanted furniture that I could use in other rooms in the future. For example, I wanted a smaller couch (sette, if you will) so it could be used in a bedroom, large closet or office should I move. I also wanted a multi-purpose type of living room (almost like a studio to some degree) that I could entertain somewhat in so we worked on various seating options and layouts. 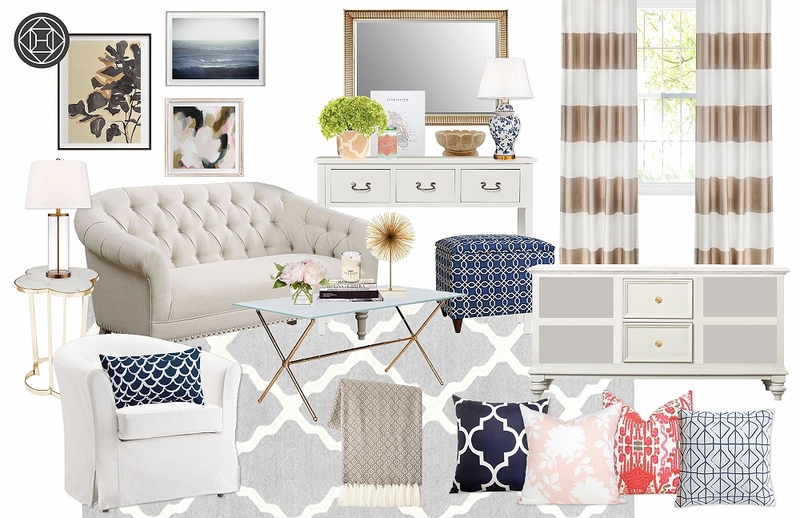 Alas, my new items arrived at my door and I began to put everything in its place with the help of my designs. Welcome to my new HOME! Cheers! Today I’m back with another TV segment I filmed recently. For those of you that missed my first one on high-low parties, you can see it here. 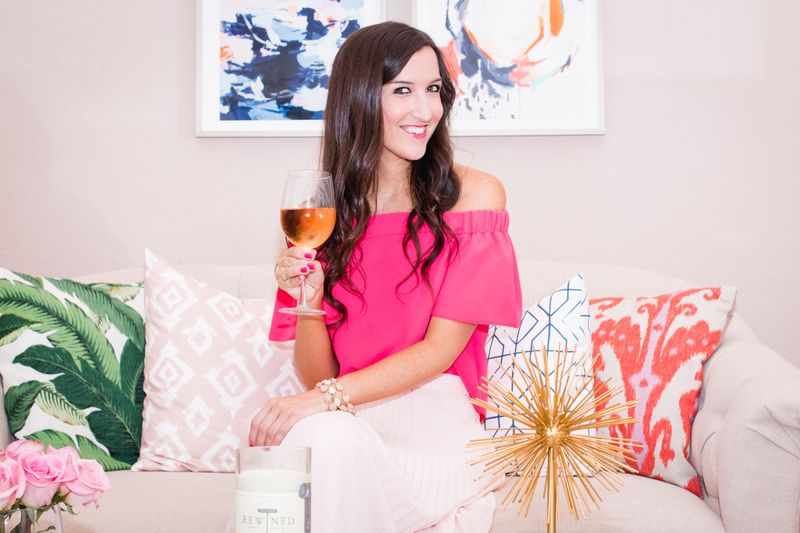 I am often asked what items you should have on hand for last minute or any time “hosting” needs that you can use over and over again – well, this segment answers those questions and provides some tips too! Thank you to everyone for your sweet comments & encouraging response to H&T on air! I am so glad you are enjoying them and there will be more to come. I’ve also included some of the items mentioned in the segment or similar ones below so you could add to your own hosting collection! You can also shop my dress (c/o*) and rest of my look below! I am super excited to share with y’all that H&T is now on TV! This first segment was syndicated across the country and am working on many more so stay tuned to find out when I’ll air next. This has always been a huge goal of mine before I turned 30 (still in my 20s, woo!) and I could not be more happy to begin this journey. For those of you that did not get to see this air last week, I’ve included the clip below and hope you enjoy and are inspired to host your own. Thank you all for all your sweet comments as I’ve shared this on social media and for those that have been following along awhile, you know this segment was inspired by this post so many years ago. As always, I appreciate each and every one of you for following along and allowing many of my dreams to come true. Be sure to follow along on Snapchat if you aren’t (bannc) as I took y’all behind the scenes at the studio and will keep you posted on the next segment too. In today’s busy world, it seems that there is little room for “white space”. 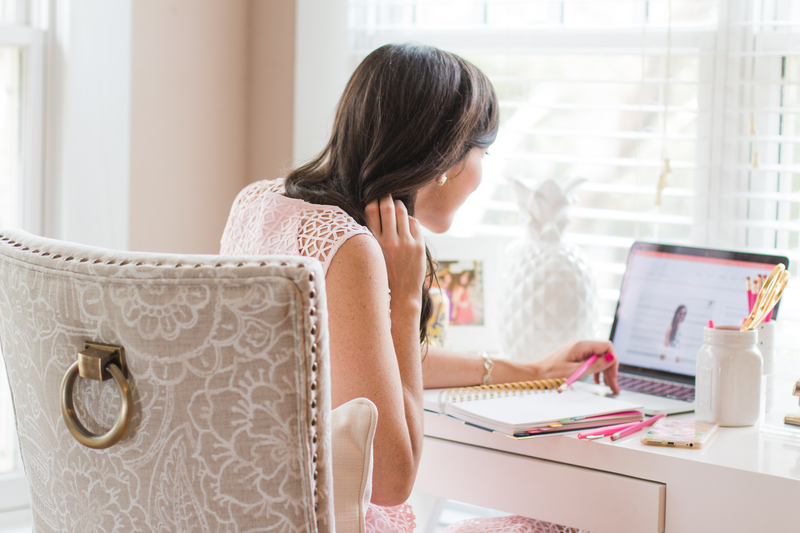 I am more than guilty of lacking what some would call a “balanced life” some weeks between juggling and scheduling a full time job that I love, running H&T (also a full time job that I love! ), working out, relationships, carving out time for friends and family and sleeping enough. If you’ve seen my Snapchats (bannc), you know that sometimes I can be quite the night owl and still somehow manage to wake up, fuel myself full of coffee and head to work out bright and early. 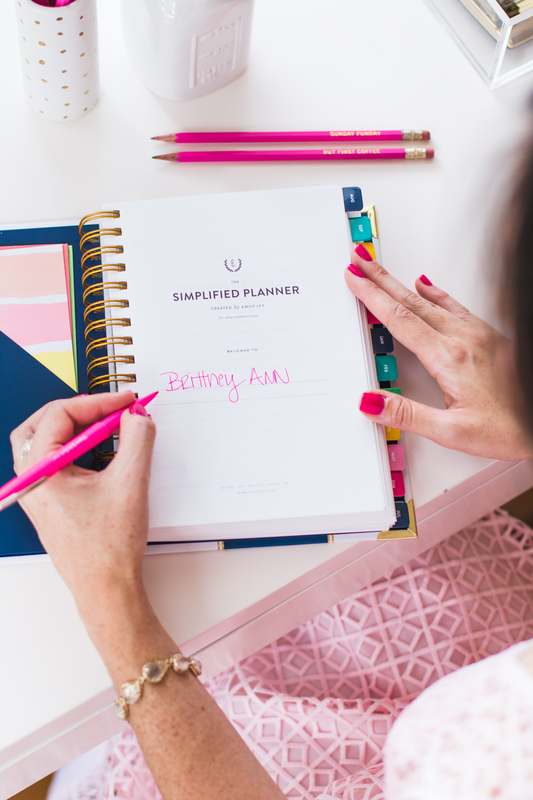 This is why I also love Emily Ley’s Simplified Planners so much – because the help me do just that. 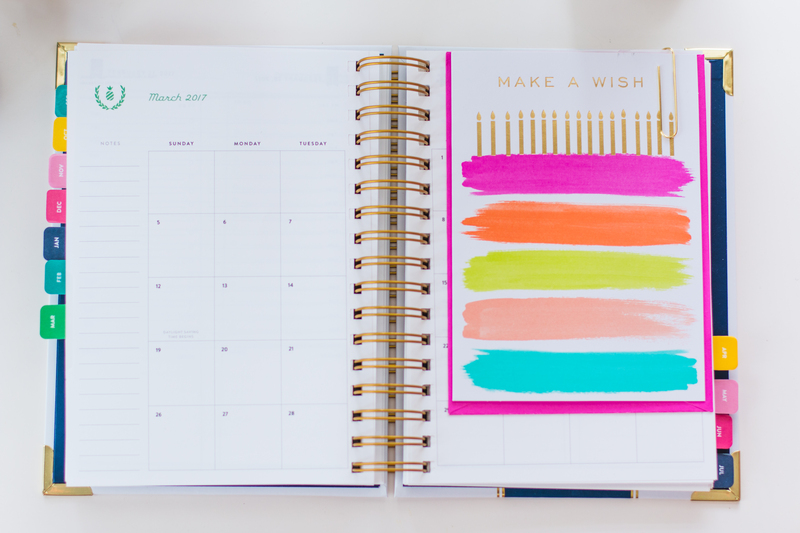 The new ones just launched last week and I’m already filling mine up with birthdays, wedding weekends and other important dates, so that it’s all ready to go later this year. I also paperclip in birthday cards as reminders of when to mail them out because I still believe in snail mail and handwritten thank you notes at all times of the year. 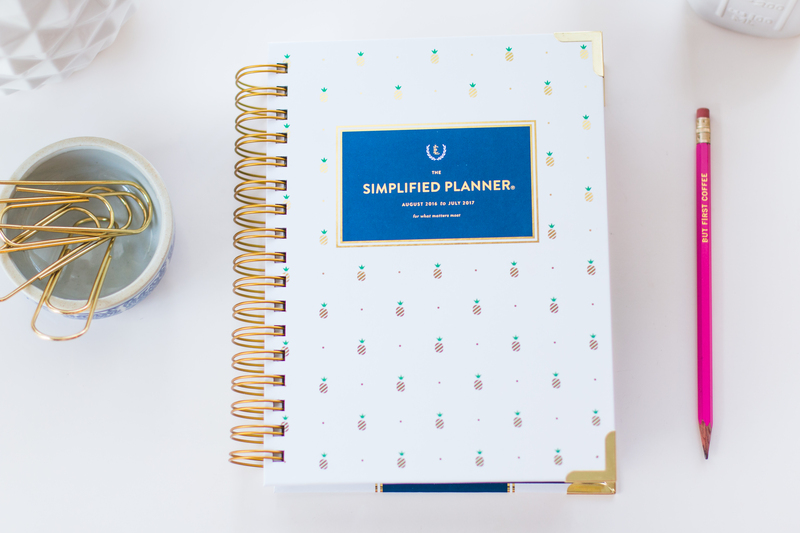 The other reason I love these planners so much is how simple they truly are – you can schedule your day by the hour – add in meal preps, weekly highlights and reminders and be inspired by quotes each day. 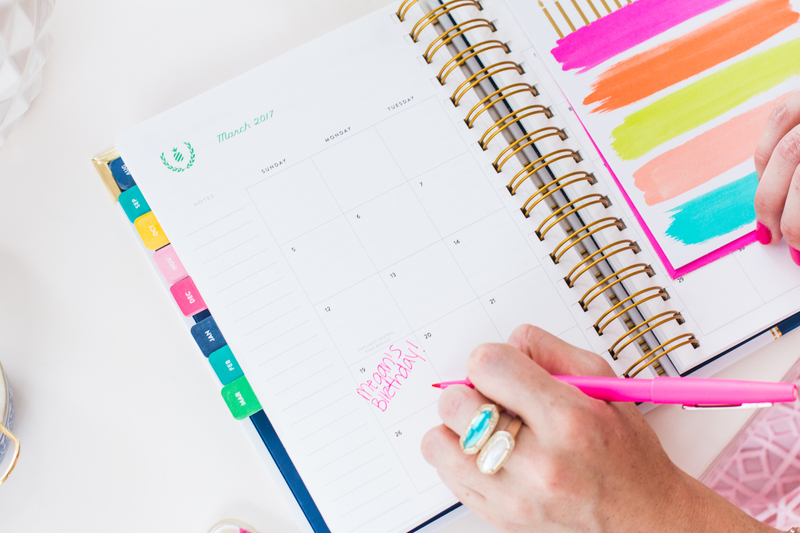 You can also prioritize, forgive yourself a little for not getting everything done perfectly and carve out that much needed “white space” for yourself and your loved ones.